This weekend, a few dozen protesters wearing bright, yellow vests will gather at the Alberta legislature. Just like they did last weekend, and every weekend before that for the past month now. But beyond the vests and the signs they wield: who are they? "No point making all those beautiful signs if nobody gets to see 'em," an organizing group said in a Facebook post about plans for Saturday's rally. "Looking forward to our biggest turnout yet." Some may sport red "Make Alberta Great Again" hats while recording the crowd with their cell phones, in an effort to be their own media. Others may prowl on the sidelines dressed like they belong to a biker gang. 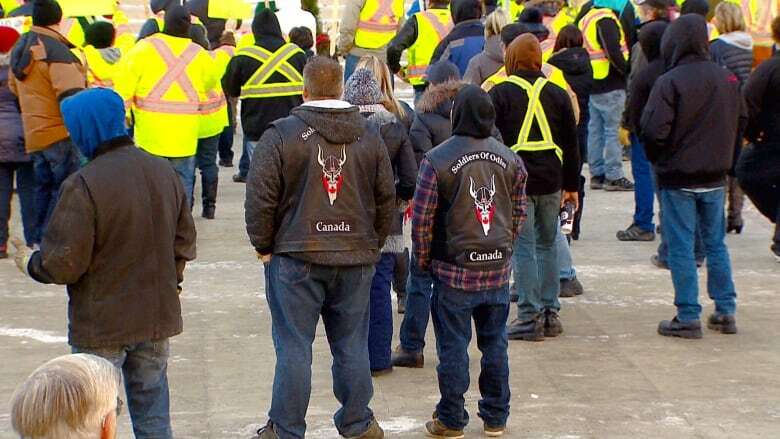 Only instead of Hells Angels patches, they have "Wolves of Odin — Canadian Infidels" sewn onto the back of their leather jackets. But most of the protesters are not voices from the fringes. Some have jobs building high-rises or driving for Uber. Others are teachers, pipefitters, real estate agents. And while their message may be muddled by a cacophony of divergent grievances and opinions, they all have one thing in common: they feel ignored and like they are being left behind. "Certainly there's this growing discontent that governments are ignoring the concerns of ordinary citizens," said Chaldeans Mensah, a political scientist at MacEwan University in Edmonton. That's echoed by Lynn Smith, a former oil and gas worker who now works in the school system. The yellow vest rally on Jan. 5 marked the fourth time she had attended such an event. "They're changing our country and we've got to stand up and say something about it because this is our country. I was born here. My parents were born here. … It's wrong." 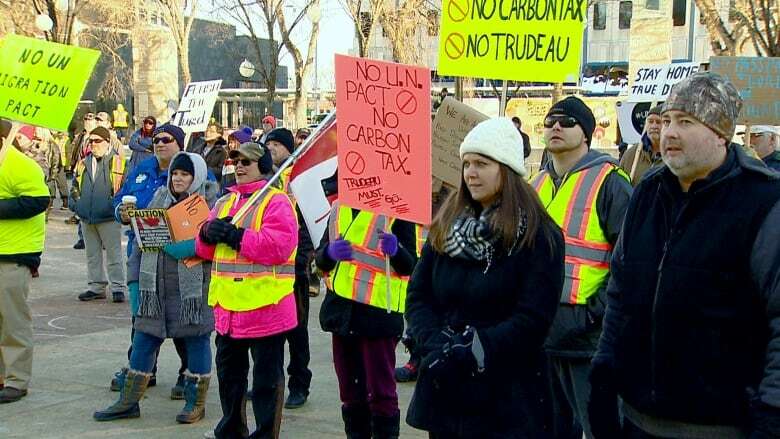 The protesters say they are not opposed to immigration, but much of the focus of Edmonton's yellow vest rallies has been on who comes into the country, and how they get here. "We're overwhelming our resources," said Brent Webster, a father of five who works in the construction industry. "We can't properly vet these people and make sure it's safe for them to come in and make sure that they're skilled and assimilate to our country and know our ways and our values." In January 2017, soon after U.S. President Donald Trump put in place a travel ban on people from seven Muslim-majority countries, Prime Minister Justin Trudeau delivered a message via Twitter: "To those fleeing persecution, terror & war, Canadians will welcome you, regardless of your faith. Diversity is our strength #Welcome to Canada." Not long after that, the flood of irregular border crossings into Canada spiked. Some asylum seekers were put up in hotels while their claims were being processed. Critics said Trudeau's tweet contributed to the border crossing issue. Then, in December, Trudeau signed the United Nations global migration pact, a non-binding initiative designed to provide an understanding among nations about how to deal with the global migration crisis. At the same time, people in Western Canada have been losing their jobs, and projects that could bring work to area — like pipelines — are stalled. And a carbon tax appears on their heating bill. And their restaurant and child care bills go up, tied to the latest hike in Alberta's minimum wage. "Trudeau keeps giving all of our money away to immigrants," said Samantha Quaghebeur, a mother of five. She attended the Jan. 5 rally with Webster, her husband, and two of their children. It was her first protest — for any cause. "We are stuck paying for all of his money that he wants to give away to everybody but Canadians. My kids are going to grow up, my grandkids and all their kids are going to be poor and stuck in a hole that they're never going to get out of." Immigration is not the only issue on the yellow vest agenda. A manifesto making the rounds online lists "illegal immigration" as just one of many concerns: carbon tax, pipelines, dependence on foreign oil, electoral reform, transfer payments, freedom of speech, freedom of the press, and sovereignty over immigration policies. Meanwhile, a different group of Western Canadians has been bringing a pro-pipeline message to the streets. Groups like Rally 4 Resources and Canada Action have held rallies in communities across Alberta, calling for an end to Bill C-48 and changes to Bill C-69, which they say makes it more difficult to get pipelines built in Canada. These protesters are organizing a convoy of of big rigs from Western Canada to Ottawa next month, which will end with a rally on Parliament Hill. While their pro-pipeline message overlaps with that of the yellow vest protesters, they are not the same. In recent days, the pro-pipeline groups have distanced themselves from yellow vest protesters, who have been accused of harbouring racism. Even the yellow vest protesters can't agree on who the "official" yellow vests are. Glen Carritt, who is organizing a "yellow vest" convoy to Ottawa (different from that organized by Canada Action), said he is not affiliated with other groups calling themselves yellow vest protesters. 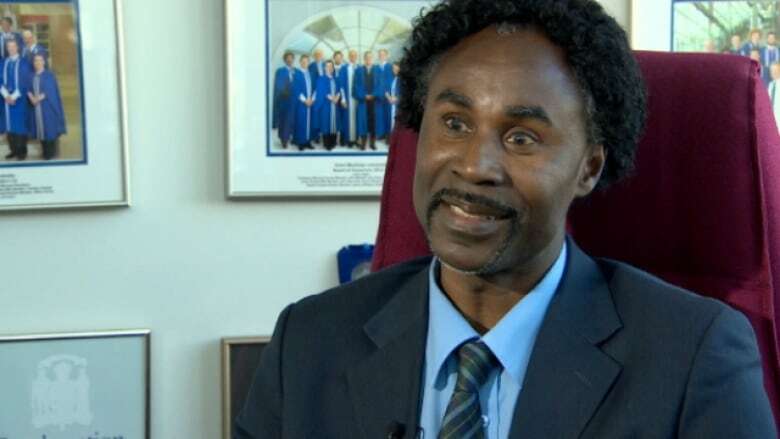 Whether or not other Canadians agree with the message of the yellow vest protesters, political scientist Mensah said they should not be ignored. "If we observe these demonstrations, try to understand where they're coming from and not simply dismiss them as crackpots or anti-immigrant," he said. "Because if we do that, some of these people may go underground, which is not a healthy situation for the democratic system." 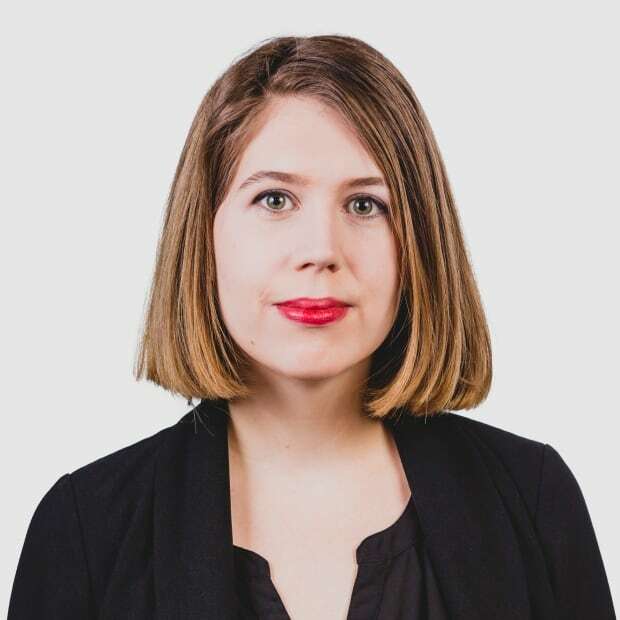 Elizabeth Hames is a producer for CBC Edmonton's morning radio show, Edmonton AM.